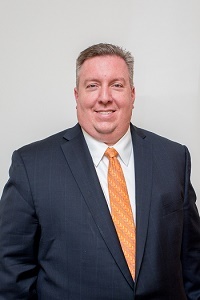 Grim, Biehn & Thatcher of Perkasie, Pa., is pleased announce that Sean M. Gresh, Esq. has been elected to serve as treasurer of the Bucks County Bar Association for 2019. Gresh is a Shareholder in the firm’s litigation department and has been with the firm since 2008. In addition to maintaining a diverse litigation practice, Gresh also serves as a court-appointed Mental Health Review Officer for Bucks County. This is Gresh’s second term as Treasurer of the Association, which has over 800 members and is one of the oldest such associations in Pennsylvania. Gresh resides in Bedminster, Pa.
“The Bucks County Bar Association is a great organization with an excellent membership dedicated to upholding the finest standards of the practice of law, and giving back to the communities that we all live and work in. I am honored to be chosen by my colleagues for this position,” said Gresh.